Store your Notes, Web Links, Images on your desktop. Design your notes by choosing fonts, colors, text styles. In this way you will have access of your information in all programs and files. Even MS Excel Sheets, MS Winword, MS Powerpoint documents, and other objects can be inserted in your documents. A short view and you knows the time. The transparent watch is always on the top of your deskop, even if your screen saver is active. Manages and synchronizes your dates an all computer by FTP Transfer. A Day Alarm lets interrupt you from your computer work. Notes, which can be freely formatted, Contacts and a monthly calendar can be managed as well. 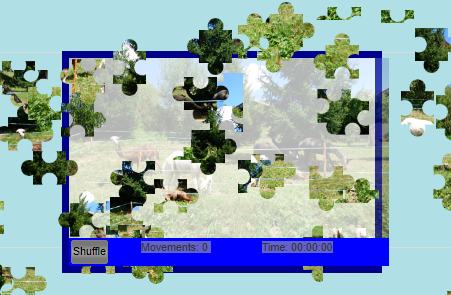 With ThGCube you can watch your own picture on a rotating on the desktop. The Size, the position and the speed of rotation can be set. All few seconds a new picture will be integrated in the cube. The directory of the picture can be freely choosen. ThGNews shows the top news of your newspapers on the top of your desktop, even if you are working on text processing, or if you are surfing in internet. If you want to know about the news, move your mouse on to ThGNews and an additional description appears. If this is not enough double click the news and you can read the whole article, which will appear in your Internet Browser..
combines the advantages of Microsoft winword with XML data files. You can design with winword a report template. The XML data are inserted into the template. With one click the transformation will replace all XML Fields by the content of the xml data. With xml2doc you can use the power of winword with the simplicity of the xml data without any knowledge of XSLT, HTML. The result is a Winword document. xml2doc Pro can be called by the command line unlike to the standard version. Winword stays hidden during the transformation, during the creation of the report. This way it is possible to integrate xml2doc Pro very easily in your own applications. With the integrated XSLT Generator it is possible to create a XSLT (Extensible Stylesheet Language) file without any knowledge of XSLT / HTML. You can design the the XSL Formular with Winword and create a XSL Stylesheet. 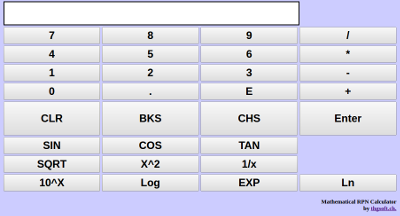 is a simple emulation of the legendary HP 15 C Calculator on the Desktop. With UPN-Logic calculations are faster than the conventional way with the equals sign ( see Wikipedia). It is possible to operate the calculator with the mouse and the numerical keypad. It can be moved free on the desktop. The complex operations and the matrix operations are not yet implemented. Also it is not possible to program the calculator . More informat.ion are available at www.hpmuseum.org or at http://hp15c.org . is a simple emulation of the legendary HP 42 s Calculator on the Desktop. With UPN-Logic calculations are faster than the conventional way with the equals sign ( see Wikipedia). Zip whole folders of your choice. All files of the corresponding subfolder with the selected extension (as *.doc, *.xsl, *. pas, *.cpp) will be zipped in one file. Of course only single files can be added to the zip file. All files in the Zip File can be synchronized with files of your harddisk. You will get a description, which file has be changed on which side. Only changed files are added to the zip file, which saves time. With the integrated FTP- File Transfer the Zip can be written or read to an external FTP-Server. So it is possible to keep you data synchronized on different computer. ThgLog stores your activities. Each application, which is started, will be recorded. Each window, which will be open, will be saved in a file. You can see in a cleary arranged diagram, what you have done the whole day, week or month. This allows you easily to show your expenses against your customer or your management. Simple Excel sheet with a macro to calculate automatically the league table after entering the game results. This excel sheet is a example for creating football, handball, icehockey basketball league tables and can be modified for your purpose. Designed with Microsoft Excel 2003.